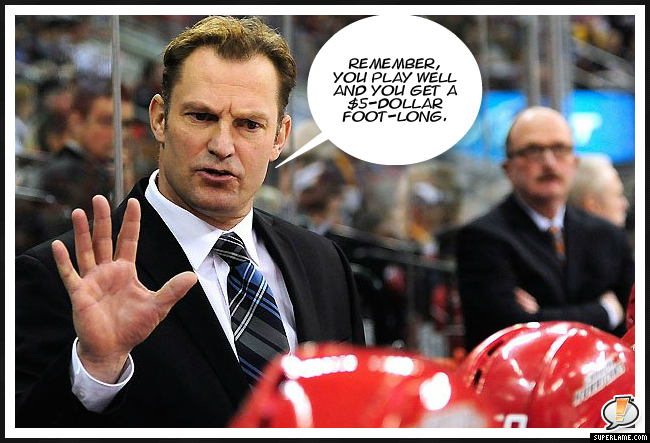 Kirk Muller has a unique coaching technique. And now you have that song stuck in your head – you’re welcome! Ding! Ding! 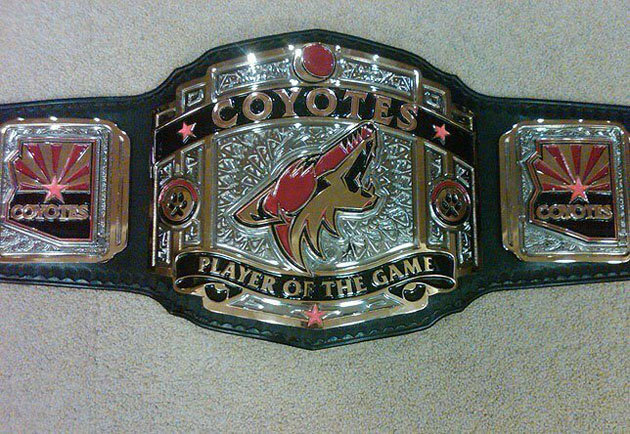 In this corner, the Phoenix Coyotes WWE style player of the game belt and in this corner NOBODY CARES!!!! Seriously, 13,000 fans a night…move the team to Quebec, Hamilton, Seattle or wherever already!!!! In my opinion the players of the game are the fans that actually show up…they should be the ones getting this belt. Carolina is playing some inspired hockey so far this year…inspired by their Storm Squad perhaps. With this kind of inspiration they just might win another Cup!!! Wearing their emotions on their sleeves…uh, I mean on the back of their jerseys. Posted: 03/11/2013 by xxxman21 in What's in a name? 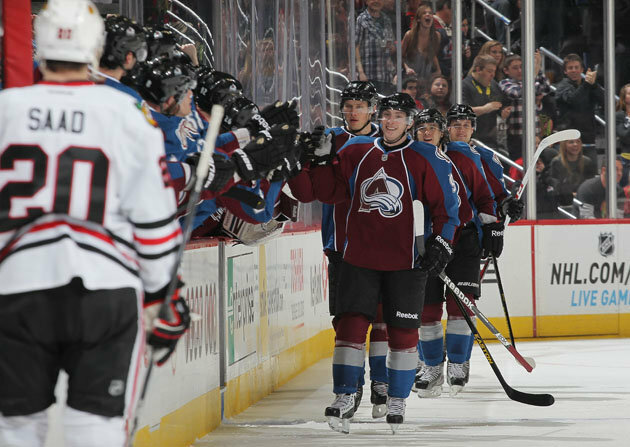 I wonder if Chicago had a player named Happy (or named Haapy) that they inserted into the lineup during their 24 game season opening point streak. There are many unwritten rules when it comes to hockey fights, but there is one written rule…NEVER PUNCH THE LINESMAN!!!!! Puckin’ Idiot to the max!!! Cam this is no way to treat your brother. Get it, Cam Ward and Joel Ward…funny huh, huh…huh? Sigh…sometimes it’s hard to come up with a good post.